[Review] WishSimply - Are You Ready for Christmas? [Review] WishSimply – Are You Ready for Christmas? 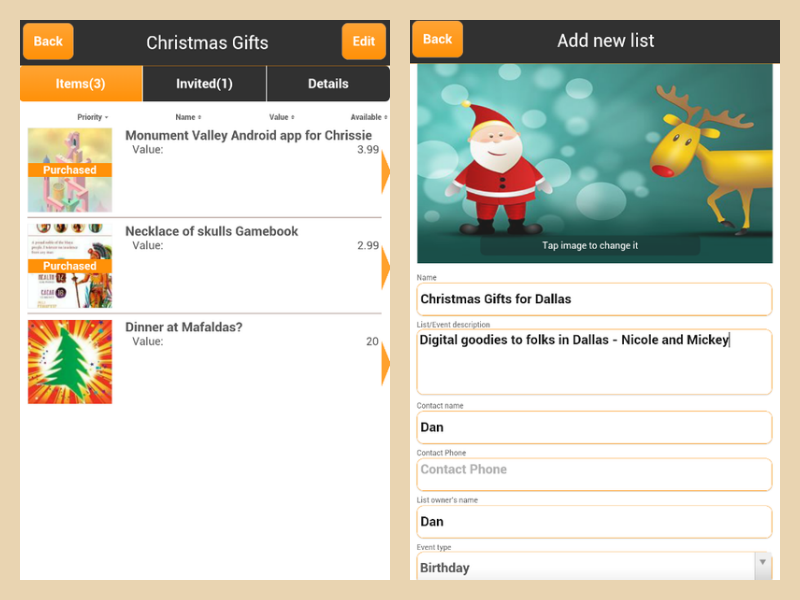 Here is an app that comes with the perfect timing – pre-Christmas holiday planning. WishSimply is simple, indeed, but it also is elegant and sticks to the point – helps families and friends plan on gift shopping. No, you won’t buy things through this app. 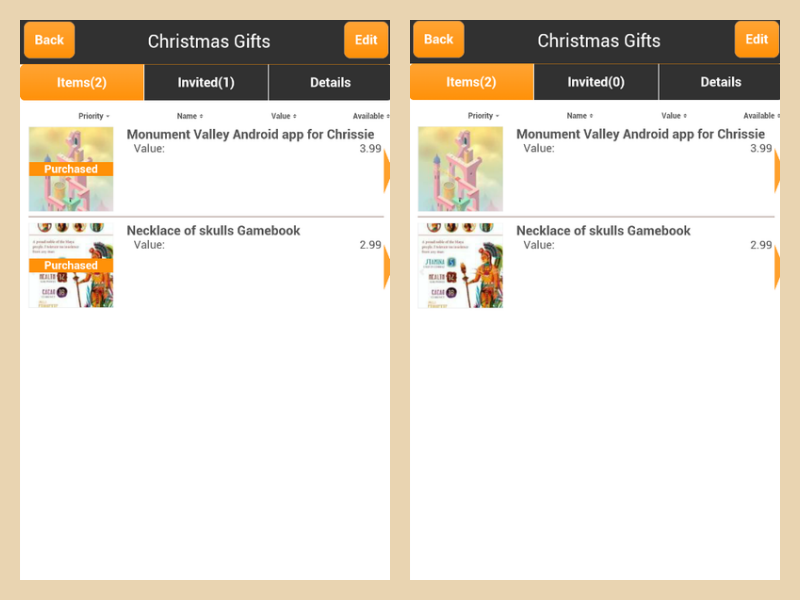 Instead, the app lets friends and relatives coordinate their purchases in a private environment. The creator of the app says he got the idea of the app when his son got four copies of a recently published and very popular children’s book for his Birthday. This sounds like a typical case of uncoordinated gift shopping in big families. Why, you don’t even have to have a big family to bring yet another porcelain set as a wedding present. The newlyweds will smile, of course, but the first thing they would do the next morning is argue which set they should return to the store. Let us see the app’s feature set. Whenever I download a new app, my paranoid self feels a stab when I read app’s permissions. 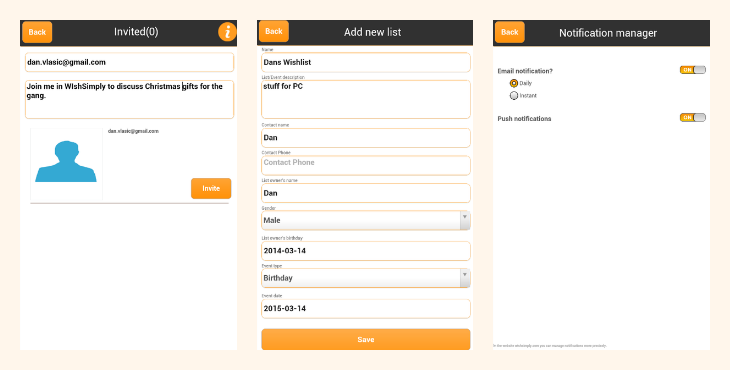 Nothing special in WishSimply – it needs access to your Contacts since you will most likely share your wish lists with some of them. Contacts and Calendar are tied into single app permission, so I don’t have any questions. For one, even if you sign in with your Google account, and you see the app pulls your Gmail’s Contact list, you can simply remove that account from your WishSimply Settings. All you Google account data will be deleted from your WishSimply account. The same is true about the Facebook account affiliation – you can also sign in with your Facebook credentials if you want to collaborate with your FB friends on your lists. Next, the developers took the time to explain that they do not collect users’ WiFi information, cookies of other services, credit card numbers, and all that ID attire. Besides, it is a European company, so if you should fear NSA might want to know what you want for Christmas, rest assured your WishSimply details are stored where the real Santa Claus lives. Finally, WishSimply explicitly states they are not selling your data to advertisers or any third party, and should you choose to delete your account, it gets deleted -, unlike Facebook. The app itself is pretty straightforward, but I would suggest you start with a web service to see how things work. The app ultimately serves as a quick aggregator of ideas, or a quick way to let your collaborators know you bought that Angry Birds Telepods set. You can browse your lists and mark items as purchased, or you can create new lists and add items, as well as invite other users to discuss. Creating a new list is dead simple. You need to name the list, add a description if needed, and choose a photo to go with your list. 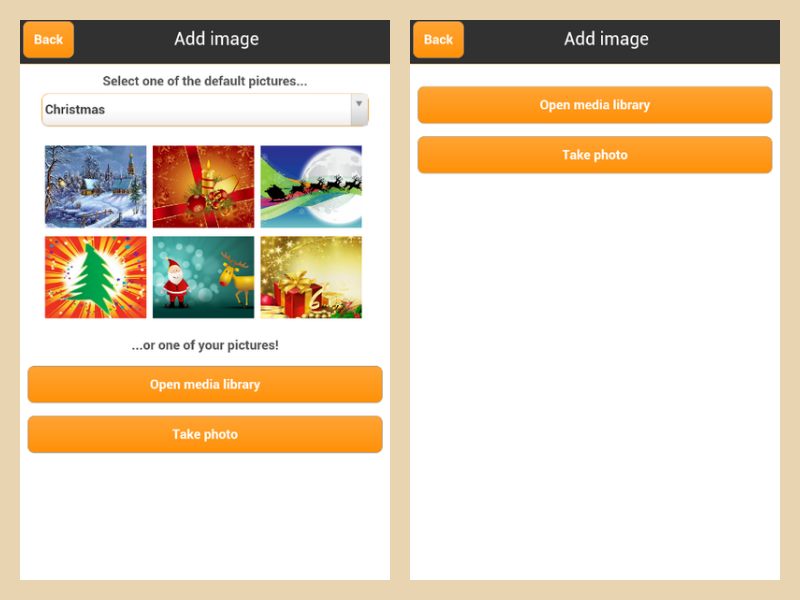 The app has a great gallery of themed images for Christmas, Birthdays, Graduations and other major events like weddings, but you can also add a picture from your gallery, or take a picture with your device. From there, you can add as many items to the list as you can think of – the process does not differ much. You add the name, input data like value and amount, set the time and type of event, add the picture of the item or maybe a link and voilà! Your wish list is ready. 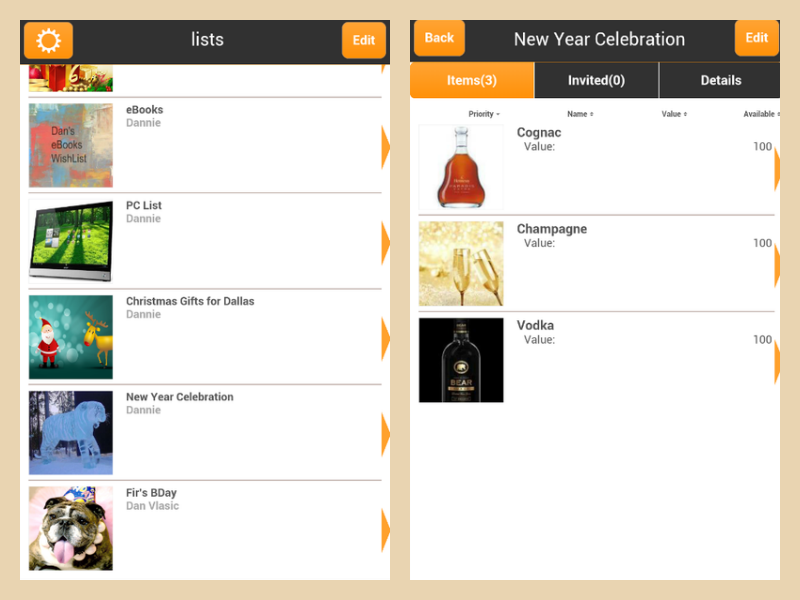 From there, you can invite people to join in the list or mark items as purchased. It is worth noting that the app does not let you leave comments, but only mark items as purchased, but that’s the point – make it a quick and simple tool for the instances when you are on the go, in a toy store for example, buying things from the list. However, when you log in the WishSimply’s website, it lets you add comments, and add items to other people’s list as Suggested, provided your friends shared the lists with you. 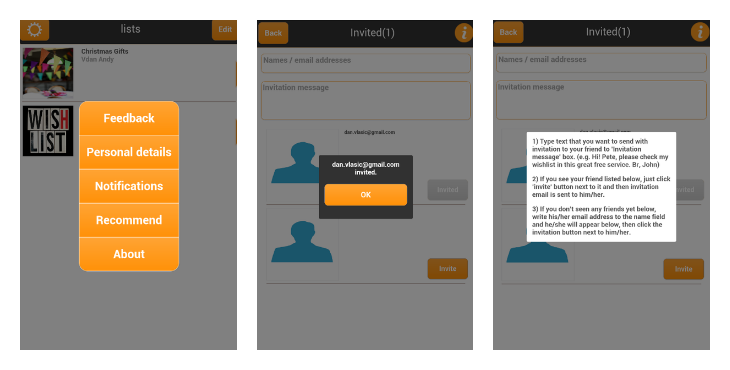 The app looks in line with the new Android Material Design – bold colors. However, unlike some things in the Google’s apps, like Messenger, for example, WishSimply does not throw bright colors in your face. On the contrary, I found the color scheme most inviting and elegant. 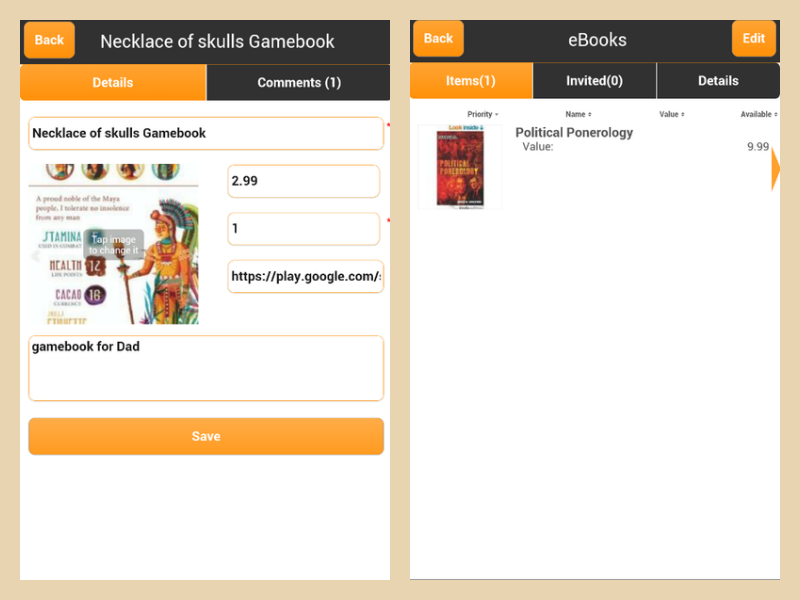 The user interface is quite straightforward and intuitive. As I said, the app is free, with zero IAPs or ads. WishSimply plans to monetize through companies that want to integrate the service on their websites. upd. The iOS version is out now – you can find it here. 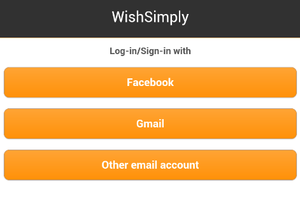 WishSimply just launched on Google Play, and as far as we know there is an iOS app in the works, too. Moreover, the web service is in Beta, but you can request an invite on the website and start organizing your holiday shopping in a safe, private and beautiful interface. The app is simple, no-nonsense, beautiful and lightweight, but it also respects your privacy and right to reveal as little or as much information about yourself as you wish. It also comes completely ad-free and IAP-less – a rarity these days. Finally, you may still catch WishSimply on Indiegogo, and get a real letter from Santa Claus with the unique Arctic Circle postmark for $5. The app is simple, no-nonsense, beautiful and lightweight, but it also respects your privacy and right to reveal as little or as much information about yourself as you wish. It also comes completely ad-free and IAP-less - a rarity these days.